Have You Heard About The Disneyana Fan Club? Photos below are property of Krista Joy Enterprises, Inc.
Hello all you Disney fans! I am so happy to be writing some blogs for Disneyways. 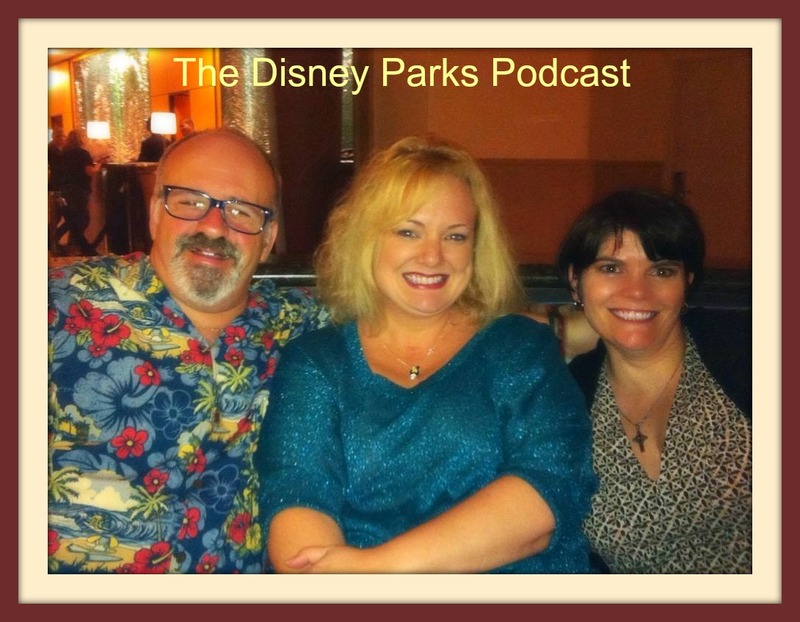 I hope to be able to meet some of you in person at some of the Disney Parks Podcast meetups! I want to introduce you to a unique and amazing product—Origami Owl! Origami Owl gives you another way to take your Disney story with you wherever you go. One idea is to create your favorite princess or movie theme with our many unique and beautiful charms. Below you will find photos of our Tinker Bell, Cinderella, Ariel and Pocahontas themed lockets! We hope these will inspire you to create your own Disney story, but the sheer beauty of these lockets is the fact you can also change the charms to fit any occasion. Say you want to wear a locket one day as you volunteer at the school. Of course you want to tell the story about your kids an family in that locket… so you might have a wedding ring, birthstones for the children and a house charm with a heart full of love. That night you are heading to a Disneyways Meet and Greet and you change it up to reflect your perfect princess or character—maybe a princess crown, a snowflake, a snow globe and two shining crystals for Frozen. I’m SO excited to be able to work and blog with Disneyways. Please feel free to view all my products at on my website HERE or email me directly at Omylockets@gmail.com. You can also reach me by sending a text to 407-325-0719. I can help you build a locket that will remind you of your last Disney vacation so you can keep the magic with you, always. Bonus – these beautiful Oragami Owl lockets often inspire conversation. Who knows? When you share your Disney story with your Oragmi Owl locket, you may even meet a new friend who loves Disney as much as you do! I can’t wait to see your ideas and creations!!! An Interview with Belle in Episode 79 of the Podcast! It’s hard for me to believe I am even writing this, but yes, it’s true! We were very fortunate that the awesome Julie Nathanson, current speaking and singing voice of Disney’s Princess Belle agreed to come on the Disney Parks Podcast as our very special guest. Julie is warm, sassy, funny, and she has so many wonderful qualities that you would probably expect from Princess Belle herself. There is so much feminist controversy over the Disney Princesses and my very favorite part of the interview was hearing Julie put into words how she feels about Belle, and why Belle’s character is a wonderful example for young girls. Julie has such a beautiful way of expressing herself that I admire so very much. There is so much MORE to Julie besides playing Belle and it’s awesome to learn how versatile she has been in her career. Some of her other roles may surprise you! The always exciting rapid fire questions! 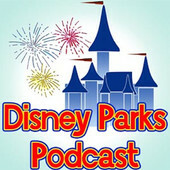 You can catch Julie’s episode by visiting DisneyParksPodcast.com directly from your computer. Look for the small grey circle with the sideways white triangle inside. Click on that circle and make sure your speakers are on. The show will begin immediately. Please head over to iTunes and subscribe! This will give you access to each episode as soon as it is released. An Interview with YeeHa Bob Jackson! If you have ever wandered passed the River Roost Lounge in Disney Port Orleans Riverside Resort in the evening – you may have have heard the sounds of folks laughing, cheering, and singing along with the fantastic performer and Disney treasure that we all know as YeeHa Bob! Hopefully you’ve seen his show already, but if not, you will definitely want to take the time to check it out during your next visit to Walt Disney World. Bob is not to be missed! He performs most nights of the week at the River Roost for 2 action packed shows. His talent, enthusiasm and energy are unmatched by almost anyone I have ever known. There is SO much to Bob, beyond the music, and he is truly an amazing man. We were so honored to have him as a guest on the Disney Parks Podcast. Learning about all the places Bob has lived and visited – including the country of Norway! Learn Bob’s secret to keeping up his energy the way he does…and so much more! You can catch Bob’s episode by visiting DisneyParksPodcast.com directly from your computer. Look for the small grey circle with the sideways white triangle inside. Click on that circle and make sure your speakers are on. The show will begin immediately. Disney Characters We Wish They’d Bring Back to the Parks! On episode #76 of the Disney Parks Podcast Show – Tammy Turner joins us to discuss Disney Characters we wish they’d bring back to the parks. Tammy Turner is your host on the Tiara Talk Show YouTube Channel! She brings you rare and fun interviews with creators of the Disney magic — such as actors, singers, dancers, imagineers and cast members who have worked for the Disney Company over the years! Tammy has such a fun personality and really brought a lot to this episode – we were very fortunate and thankful to have her on as a guest. At Tammy’s request we chose our top 3 favorite characters to bring back to the parks. We kept our answers a surprise from each other until this recording. Tammy reveals that a BIG rumor we mentioned on Disneyways recently is definitely true!! Which rumor is it and how is she so sure? Bonus content – who are Kenny the Pirate’s top 5 characters to bring back? Kenny the Pirate is a Disney character expert – so he knows them all! Info on how you can contact us and let us know about the characters YOU miss seeing at the parks! Click HERE to listen to the show directly from your computer. Look for the small grey circle with the sideways white triangle inside. Click on that circle and make sure your speakers are on. The show will begin immediately. Thanks for listening and be sure and send us your feedback! You can check out Tammy’s website HERE. Have a magical day!